Asia, the largest continent on the planet is also a home to a number of beautiful tourist destinations where you can have a good time not only with your loving friends, but your sweet family as well. From unique amusement parks to some of the most beautiful natural sites – this place has a lot to offer. Of course, to go to these countries you must also have a valid passport, click here to see detail passport renewal services. You can visit this metropolitan city with your family to have a beautiful time as this city has a number of leisure spots for your family. The Disneyland as well as the sea-themed Ocean Park is considered to be the most loved destinations of this city. However, there are many other beautiful spots that you must not fail to visit. Tokyo is full of activities and your family is surely going to have a good time in this city. This city is also known as one of the finest cities of Asia. Visit the Hello Kitty theme park with your toddlers to give them a good time. You can also pay a visit to the beautiful National Museum of Emerging Science and Innovation to learn a lot of things about science. If you are looking forward for a holiday that is relaxed and low-key then visit Ko Lanta situated in Thailand to fulfill all your relaxation needs. This place is located in the west coast of the country. There are beautiful resorts, pristine beaches as well as the waters of the tranquil Andaman Sea too. This place is located closely to Bangkok and is mainly known for its seven national parks, majestic rivers, cavernous caves, waterfalls, lakes as well as temples. You can easily get into this city from Bangkok and can spend a beautiful time by exploring the beautiful places along with your family. 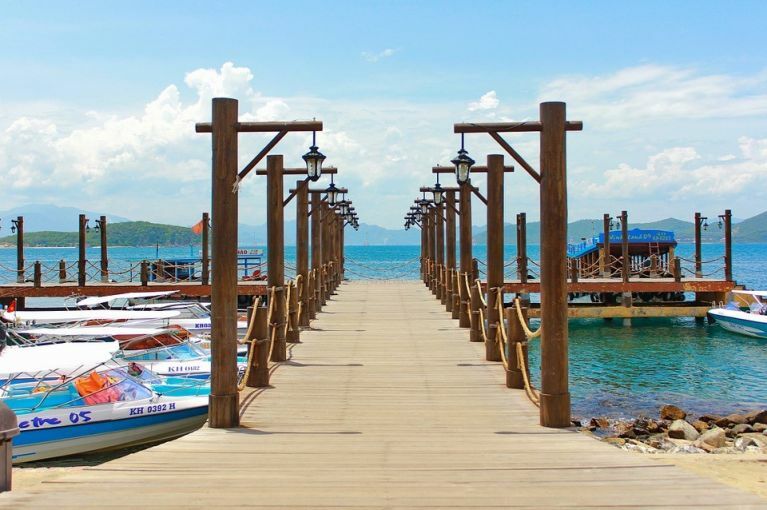 Ko Tonsay is a beautiful place of Cambodia where you can spend a cheerful time with your family. What makes this place a good destination for a family trip is its remote and undeveloped atmosphere. Also known as the Rabbit Island, this place serves as the best spot if you wish to connect with the nature. This place is a tropical paradise destination for your family where you can enjoy a number of family-friendly activities. If your family adore animals, you can indulge into the activity of riding elephant at the Bali Elephant Park. You can also feed monkeys, swim with the dolphins and enjoy a number of other fun loving activities along with your family. The Ha Long Bay situated in Vietnam is a place where you can escape with your family for a beautiful holiday. Take help of vietnamamazingtours.com to organize the tours especially for Ha Long Bay. This place is made up of 1,600 islands as well as limestone karst landforms in the Gulf of Tonkin. You can tour the beautiful islands for a wonderful experience. You can relax your hearts out at this beautiful destination. Don’t forget to explore the outdoors too. One of the most popular destinations of Laos is Luang Prabang which is worth a visit with your family. This place is full of local villages, beautiful Buddhist temples, amazing caves as well as the blue lagoons. This place is a blend of culture as well as nature. This town has also been declared as the UNESCO World Heritage Site and thus your visit to this beautiful town is a must. Singapore is one of the best destinations for family vacations in Asia. Despite of being expensive in nature, this city is a perfect getaway for families as it has a lot to offer to them, especially to the children. This multicultural city is a perfect example of cleanliness as well as organized culture. Visit the Singapore Zoo as well as nearby Night Safari. Visit the beautiful Sentosa Island which is known as the favorite playground of Asia and enjoy with your family. Now that you know the best countries to visit in Asia, it’s time to pack your bags and indulge in a beautiful getaway with your family.